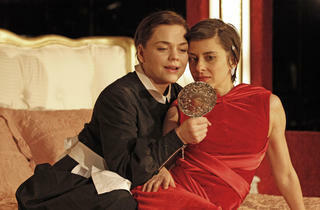 Jean Genet’s The Maids still hasn’t been domesticated. Some 65 years after its Paris premiere, the play retains a core of molten danger that bubbles through the cracked theatricality of its surface. 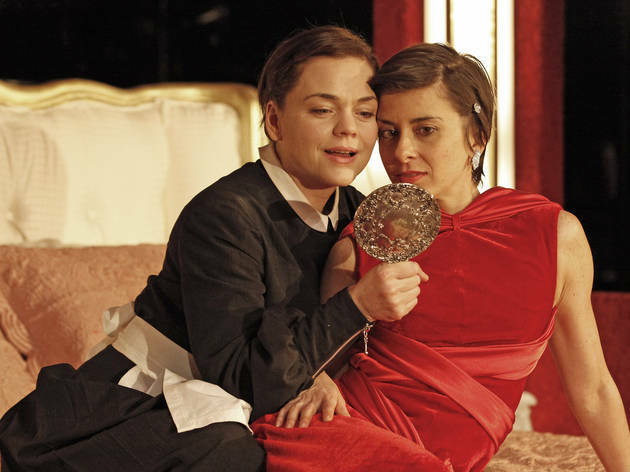 Solange (Reeder) and Claire (Serralles) work for a woman of leisure, whom they refer to only as Madame (Smith-Cameron); when their mistress is away, they enact elaborate sadomasochistic role-playing games in her boudoir, with Claire playing Madame and Solange playing Claire. There is a strong dose of incestuous sexuality in these grand delusions, which stop just short of their anticipated climax in the fantasized murder of Madame.